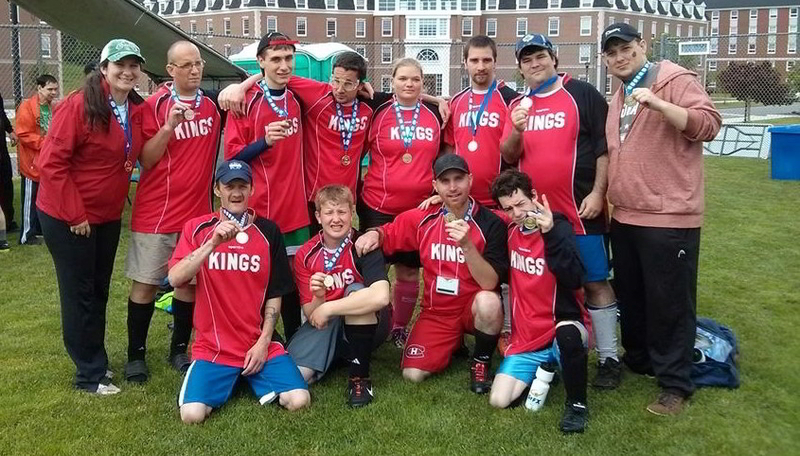 Kings Special Olympics has continued to grow over the years. We have a strong athlete, volunteer and coaching base to offer sport programs in bowling, track, curling, soccer, swimming, bocce, and snowshoeing. Special Olympics Nova Scotia focuses their athlete recruitment around the annual Registration Day. This day is hosted on the last Wednesday of September each year. The sports are hosted in “Regions” across the province (15 in total). In each community you will find a registration day event designed to answer any questions you may have regarding getting involved. Locations and times can be found on our website (beginning in late August) as well as on CTV beginning the first week of September. However, Special Olympics welcomes athletes year round. If you happen to miss the registration day event in your community, you can simply contact Special Olympics Nova Scotia and we will work to assist you and your potential athlete on the steps to get active. Special Olympics Nova Scotia is dedicated to enriching the lives of Nova Scotians with an intellectual disability -- through sport. We are a not-for-profit, grassroots organization that provides sport training and competition opportunities for athletes of all ages and abilities. Volunteers play a major role within our organization. The Provincial body of Special Olympics is serviced by a full time staff of three and over 500 volunteers province wide. Volunteers are the key to our success and come in many forms. We have positions that range from one time event based to weekly training and support positions. If you have an interest, we have a position. For further information please contact the Kings Regional Coordinator, Marty Arsenault, or visit the Special Olympics Nova Scotia website.